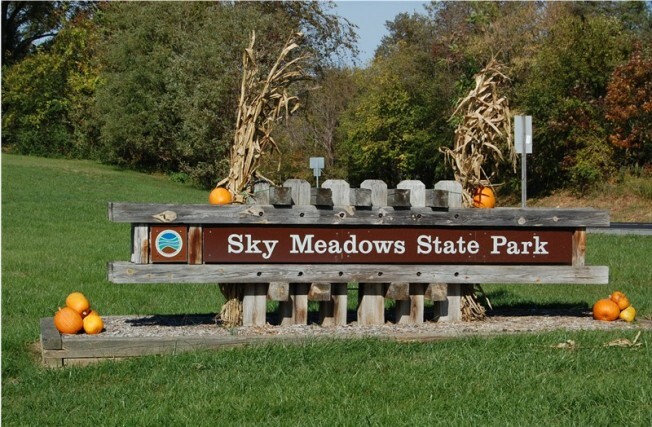 The chill of autumn is in the air, bringing along many fall festivals, including the Sky Meadows State Park Fall Farm Festival at at Mount Bleak Farm in Virginia. This month-long harvest festival features live music, concessions, living history demos and plenty of exhibitors -- plus, of course, all the fall must-haves, including corn mazes and pumpkin patches. Mount Bleak Farm is located in Sky Meadows State Park (11012 Edmonds Lane, Delaplane, Virginia), is a gem of a property very close to Middleburg. It's a great spot for sunsets (and photographs of said sunsets). The festival continues through the weekends of Oct. 18-19 and Oct. 25-26, from 10 a.m. to 5 p.m.
Each weekend has a theme, with Wildlife and Habitat the theme for Oct. 18-19, when you can attend ranger-led programs, visit with wildlife ambassadors and hike park trails. History is the star Oct. 25-26, with colonial and Civil War encampments, living historians, quilters, blacksmiths and tastes of colonial cooking. Parking and admission are free.